Research focused on understanding new migration patterns of different brazilian stingray species. Pesquisa busca entender a migração de raias pelos rios do sudeste. 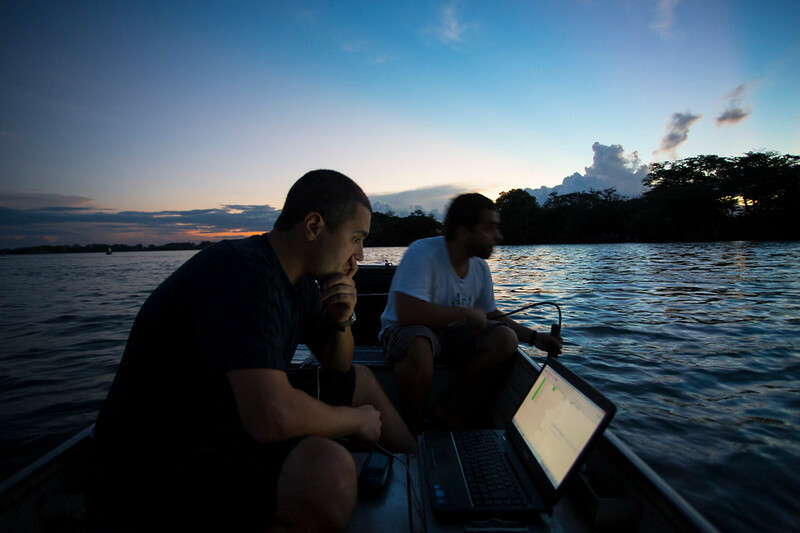 Researchers check stingrays migration in the Paraná river located in the southeast region of Brazil. Pesquisadores monitoram migração de raias no Rio Paraná, entre São Paulo e Mato Grosso do Sul.